Sens. 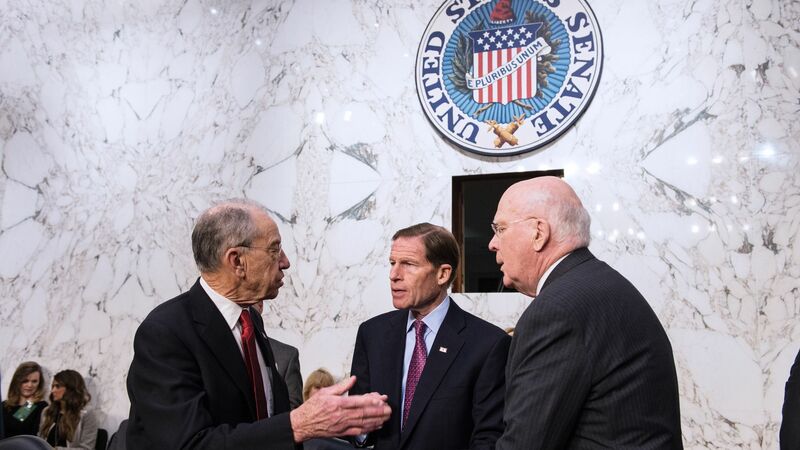 Richard Blumenthal and Chuck Grassley, both members of the Senate Judiciary Committee, have written a letter to FBI Director Chris Wray and White House Counsel Don McGahn asking about the process of granting interim security clearances, who has clearances in the White House, and what they're able to access. The FBI confirmed to Axios that they received a letter from the Senators today. Why it matters: There are reportedly more than 100 people working in the White House now with interim security clearances that are not eligible to have access to sensitive information. Sens. Blumenthal and Grassley write that they want to figure out whether this is a "common problem or one unique to this administration." They want a response by March 13.